You can't beat having a blues harmonica for every occasion. At this price you can't afford not to! Set of 12 Chord Blues Ten diatonic harmonicas in every possible key to allow accompaniment to all pieces of music. Supplied in a bespoke fabric and hard foam zip case with individual harmonica compartments in a soft, plush interior. 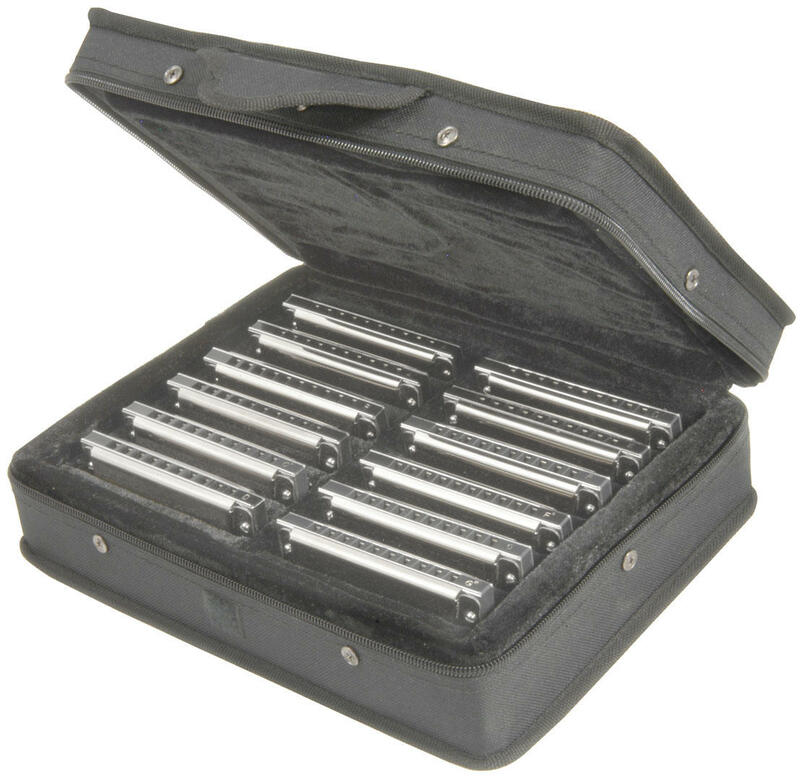 This harmonica set makes for a great harmonica gift idea. Suitable for the beginner harmonica player or as a spare set for that jam night where you get caught out without the best key harmonica for the job.